Dr. Bright would often say, “Win the campus today; win the world tomorrow”. 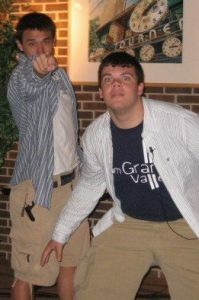 Ryan and Troy were best friends in high school, and naturally became roommates when they arrived at Grand Valley State University in Allendale, Michigan. A believer coming from a solid youth group, Ryan was eager to get involved with Cru. He enjoyed having the Cru community and Christ-centered direction in his life. Ryan and Troy grew and developed over their years as students. Ryan became an instrumental leader as Grand Valley State University’s Cru movement grew from 35 students during his freshman year, to 650 students during his senior year. He led people to Christ, taught others about sharing their faith, led small groups and led in other ways. As a track athlete, Troy helped to form and lead the Grand Valley Athletes in Action movement that eventually saw more than 40 student athletes involved on a regular basis. He too learned how to share his faith and led others to Christ. This entry was posted in Prayer Letters on July 29, 2016 by Karl. Celebrating 25 years of ministry with Cru! 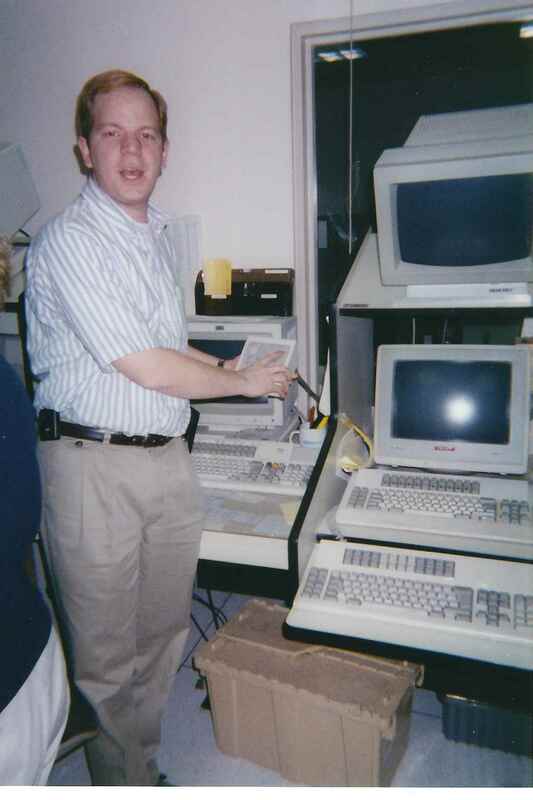 On July 25, I will celebrate 25 years with Cru! 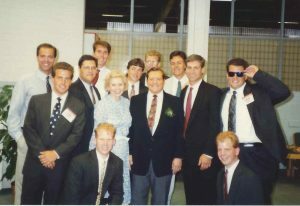 In July of 1991, I was in Colorado for Campus Crusade for Christ’s New Staff Training. In August I started to find my team of ministry partners, and by December I was in Orlando. It’s hard to believe that so many years have passed since I packed my things into a U-Haul truck and embarked on this wonderful adventure. meeting Liesl, marrying, and having Anja! All of this was made possible by you, our faithful team of ministry partners! Thank you so much for standing with us financially and with your prayers – some of you for 25 years. We have each been blessed so that we can be a blessing to others, and God is using us together to extend His kingdom throughout the earth! This entry was posted in Prayer Letters on June 28, 2016 by Karl. Imagine hosting 11 college students! 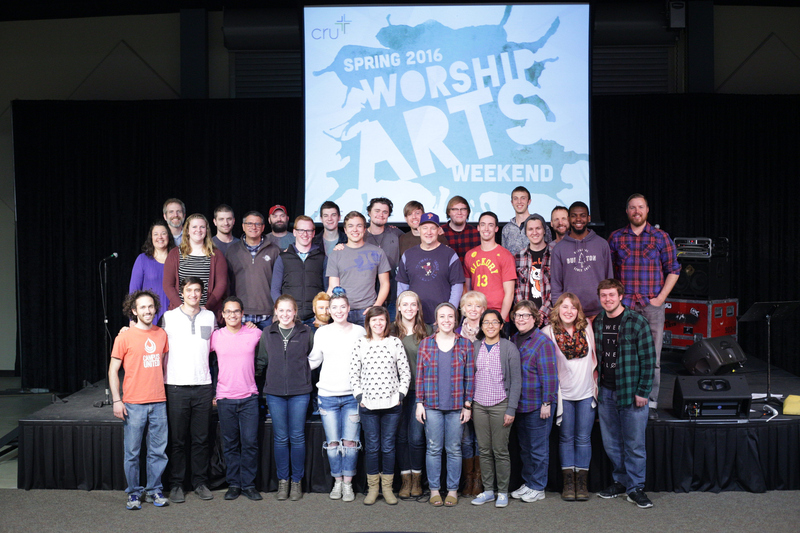 We had the privilege of hosting the Ball State University students who attended the Spring 2016 Worship Arts Weekend. 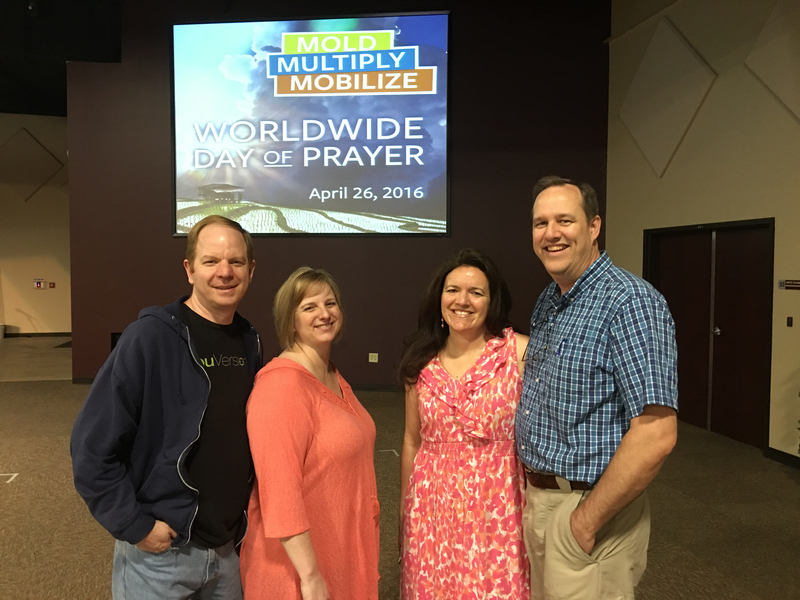 Tuesday was Cru’s semiannual Worldwide Day of prayer, and we were joined by Jeff and Jo Boehlke, our friends from southern Indiana. Jeff and I both work remotely for the same team in Orlando, and spend a lot of time working together on Cru’s Google system. Our team is also working on projects to improve Cru’s financial system, web hosting, and other systems. We appreciate your prayers for wisdom and the ability to make quick progress! This entry was posted in General, Prayer Letters on April 29, 2016 by Karl.